We’ve told you about stolen shipments of retail goods from tractor trailers, but what about when the someone steals the truck itself? A Florida business owner, after having the victim of other truck thefts, installed GPS tracking devices on his fleet in hopes of a successful recovery in the event of another vehicle theft. When the owner arrived at his place of business last week to discover that yet another truck had been stolen, he used GPS tracking software to locate the exact location of his vehicle, view it’s rate and direction of travel, and promptly report it to the police. The truck was recovered and two men were arrested. It is suspected that the men may have stolen the truck for the resale value of its individual parts. 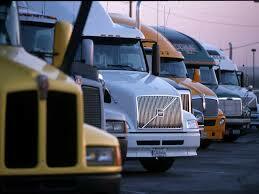 Looking for GPS trackers for your big rigs? Contact TrackingTheWorld at 650-692-8100 or visit www.trackingtheworld.com.